The American AgCredit Sweepstake Winemaker Award is awarded to the winemaker that produces a sweepstake wine award at the San Francisco Chronicle Wine Competition. Paul began his career at Korbel Champagne Cellars in 1985, shortly after his graduation from the University of California at Davis with a degree in Enology, and two years of experience working as a distiller for a subsidiary of French Cognac producer Remy Martin. Having gained extensive experience working in the laboratory, cellar, with grower relations and as winemaker, Paul’s responsibilities have grown tremendously. He was named Director of Winemaking in 2003 and in 2010 added the management of Grower Relations to his responsibilities. 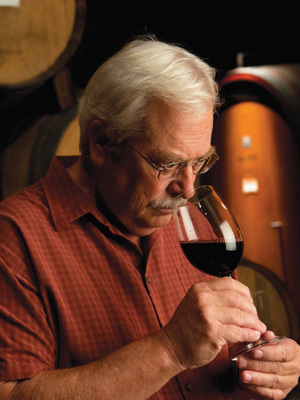 He currently serves as Director of Winemaking for Korbel Champagne Cellars as well as its Brandy Master Distiller. 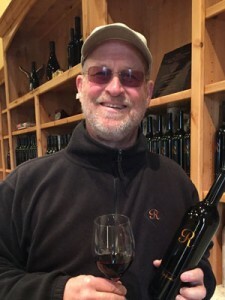 Brooks Painter has been called “the winemaker’s winemaker” because of his extensive expertise and prominence as a wine industry leader among his peers. 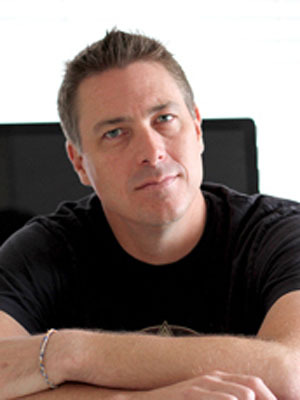 Brooks has been the Director of Winemaking at V. Sattui Winery since 2005 and is responsible for our portfolio of 60 different wines. He also manages V. Sattui’s viticultural and grape growing operations, supervising 300 acres of estate vineyards as well as relationships with outside growers. Born in San Francisco, Brooks grew up in northern California. He graduated from the University of California, Santa Cruz with a double major in Chemistry and Biology. He went on to complete additional coursework in seminars in viticulture and winemaking. Barnard Griffin is a family-owned winery in Richland, WA and one of the largest brands in the state by volume. Co-owners Rob Griffin and Deborah Barnard have been gaining international acclaim under the Barnard Griffin label since 1983 and Griffin has been making exceptional wines in Washington since 1977, longer than any other individual in the state on a continuous basis. Barnard Griffin produces more than 65,000 cases per year, including Barbera, Cabernet Sauvignon, Chardonnay, Fume Blanc, Malbec, Merlot, Orange Muscat, Pinot Gris, Riesling, Rosé of Sangiovese, Roussanne, Syrah, Syrah Port and Viognier. 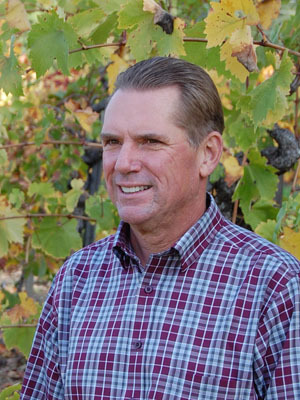 Jeff Runquist started his adventure in the wine industry when he interned with Seagrams at their Paul Masson Sherry Cellars in Madera while studying enology at UC Davis. Upon graduating in 1980, he worked in the cellar at Montevina in Amador County’s Shenandoah Valley and was promoted to winemaker in 1982. After graduating the MBA program at the Leavey School of Business in 1997, he resolved that he would now make wine for himself. In 1997, Jeff first released 700 cases of Zinfandel under his own label. Throughout the next few years, Jeff designed and helped build the McManis Family Vineyards winery in Ripon, where he was senior winemaker. Finally, Jeff and Margie Runquist purchased their own winery and in the spring of 2007 opened their tasting room. 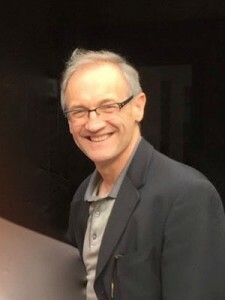 Jeff moved his production from Ripon to Plymouth in 2011. Anthony Craig was born in Gateshead, a North Eastern English town on the river Tyne close to the Scottish border. However, it was actually the love of acting, movies and the Theatre that led him to California, not wine. At the end of 1990, Anthony left Los Angeles looking for relief from the craziness that is LA, and with a few dollars to his name he moved up north to the San Jose area, finding work with a small local winery. It didn’t take him long to realize he had a knack for winemaking and he quickly became a member of the wine making team, eventually becoming head winemaker. It was here he fell in love with Pinot Noir. Working with more than 50 vineyards from Mendocino to Santa Barbara gave him a unique overview of the potential Pinot Noir had in California in various regions. In 2002 he decided to create Sonnet as an homage to his old life as a Shakespearean actor and single vineyard Pinot Noir. 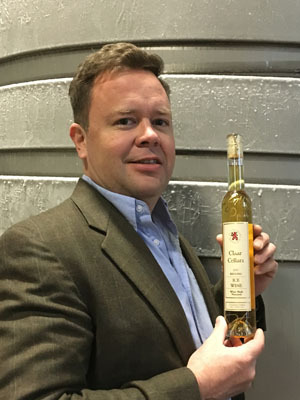 Joe Hudon is in his sixth year as the winemaker of Claar Wine Group. Joe is a graduate of Washington State University and holds a master’s degree in enology from the University of Adelaide in South Australia. 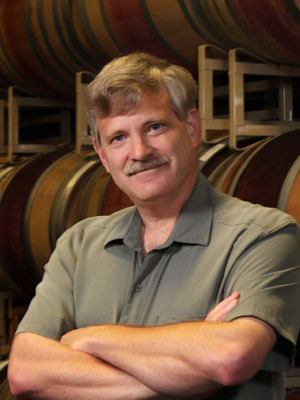 Joe’s knowledge of both large and small scale winemaking blends well with the winery that produces 15,000 cases, including multiple wine tiers: Chateau Walla Walla, Claar Cellars, Demri Layne, Le Chateau, Nicola’s Red Mark and Ridge Crest. During Joe’s tenure, Claar Wine Group has garnered multiple awards nationally and internationally in addition to the San Francisco Chronicle Sweepstakes. Claar Wine Group won the USA Blind Tasting at the 2015 Interwine Food and Wine Expo in Guangzhou China with their 2012 Cabernet-Merlot blend, they had three of their wines selected by blind tasting at the 2015 U.S. Open Wine Event in Seattle, and they recently appeared in Tasting Panel and Wine Enthusiast Magazines with 90+ point wines. Matt Valine has been immersed in wine his entire life. His creativity is charged, on a continual basis, by the people, the landscape, and the passion that surround him in his home town of Napa. As the Creative Director for Terravant Wine Company, he drives to complement the quality of the wine in the bottle with engaging designs that inspire consumers. Winemakers work hard to give unique experiences with each sip and he and his team strive to bring the same engagement with award-winning, innovative wine package design.